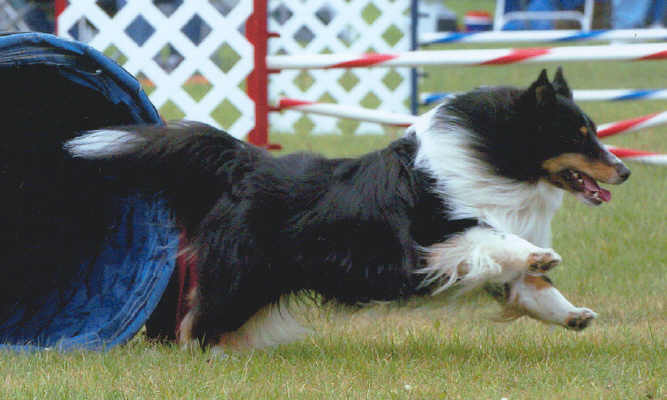 Agility is a fast paced team sport where dog and handler compete against the clock, course accuracy and other teams. 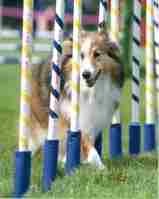 Agility was first designed in England as a "half time" entertainment for a horse show. 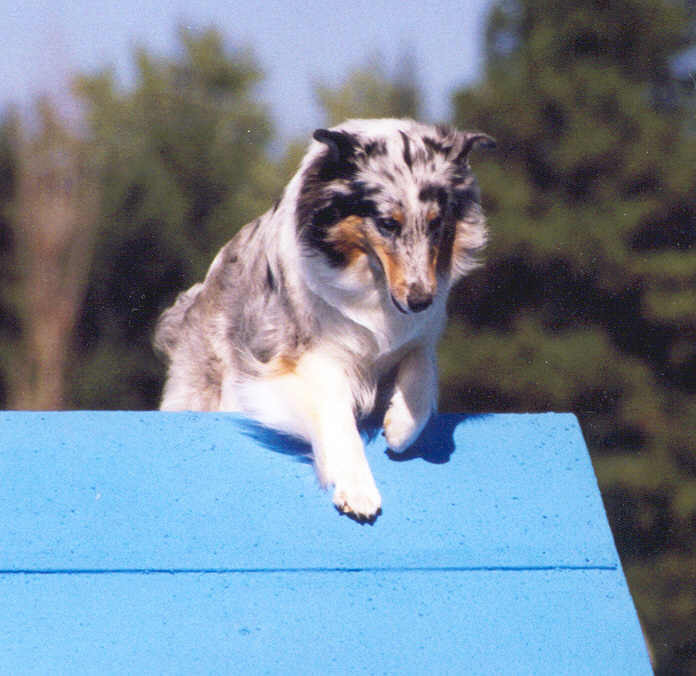 Needless to say it has had many changes and you can now compete in a variety of venues, just a few being, AKC, USDAA, ASCA and NADAC. 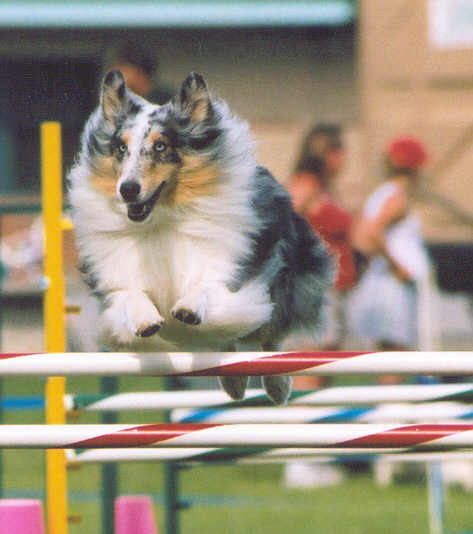 While agility requires athleticism on the part of the handler and dog, most team levels can have success - whether it's a fun day with your sheltie, a first place or a new title.